It is important to provide additional winter protection for the Maples, Locust, Linden, Apple, Crabapple, and Plum species. Until these trees mature and develop a thicker-insulating bark, they remain vulnerable to sun scald and frost cracks. 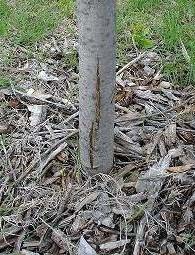 Sun scald is a tree injury that can result in cracks and splits on the trunk. It occurs in the winter usually on the south or west side of the trunk. The damage takes place when the cells in the living tissue beneath the bark break dormancy on warm, sunny days and then rupture and die when night temperatures drop below freezing. The tree is injured when enough cells in a given area are killed. The following spring these dead areas will appear discolored and sunken. In time the bark killed by sun-scald will split and peel. These areas also provide entry points for insects and diseases. 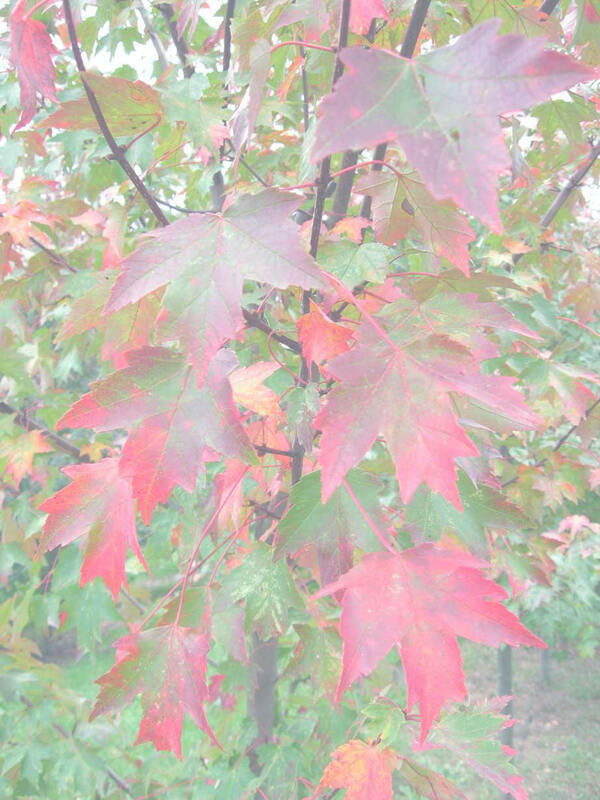 To reduce or eliminate sun scald injury, wrap the trunks of susceptible trees each fall with tree wrap paper. Do this for one or two seasons until the bark begins to roughen. Remove each spring so as not to provide a home for insects. Tree trunks can also be treated with white latex paint, wrapped with burlap, or a light colored tree guard. One of the most common reasons for cracks and splits on tree trunks is cold temperature. These are called frost cracks and are caused when the inner and outer wood in the tree's trunk expands and contracts at different rates when temperatures change. This happens when winter temperatures plummet below zero especially after a sunny day when a tree's trunk has been warmed by the sun. The different expansion rates between the inner and outer wood can cause such a strain on the trunk that a crack develops. Frost cracks occur suddenly, can be several feet long and are often accompanied by a loud rifle shot sound. 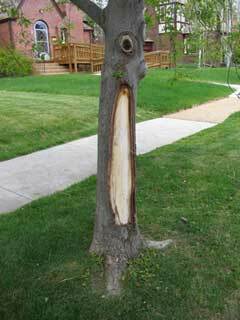 They often originate at a point where the trunk has been physically injured in the past. Isolated trees and trees growing on poorly drained soils are particularly prone to frost cracks. Frost cracks often close during summer only to reopen in succeeding winters. They do not seriously hurt trees although they provide openings where certain disease organisms may enter, particularly if the tree is in a weakened condition. Frost cracks are also ideal hiding places for insects which can cause further damage to the weakened tree. * Reference- Missouri Botanical Gardens website, see our links page.